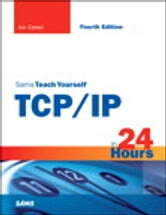 In just 24 lessons of one hour or less, you will uncover the inner workings of TCP/IP. Using a straightforward, step-by-step approach, each lesson builds on the previous ones, enabling you to learn the essentials of TCP/IP from the ground up. Practical discussions provide an inside look at TCP/IP components and protocols. Step-by-step instructions walk you through many common tasks. Notes and tips point out shortcuts and solutions and help you steer clear of potential problems. If you're looking for a smart, concise introduction to the protocols that power the Internet, start your clock and look inside. 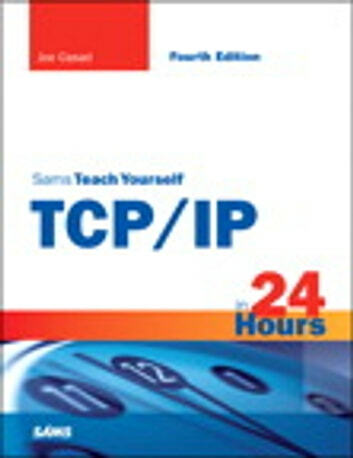 Sams Teach Yourself TCP/IP in 24 Hours is your guide to the secrets of TCP/IP.